Identity theft criminals will take your valuable personal details such as bank account, passport or credit card details and clone them to fraudulently obtain money. Firstly, report any documents or valuable information which has been lost or stolen. For example a stolen purse or handbag may have contained a passport, bank details and credit cards. Notify the police and each of the relevant organisations. Even if nothing has been lost or stolen but you still suspect you are a victim of identity theft it is important to report it at soon as possible. 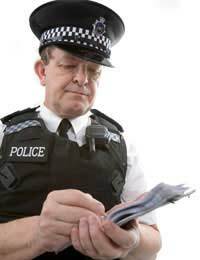 If your passport, national insurance number, birth certificate or other document providing personal identification is involved you are especially recommended to contact the police. Be sure to get a Crime Reference Number. You may want to contact the Royal Mail if fraudulent activity seems to be taking place at your address – for example you are receiving no mail or someone appears to be using it for redirection. Other organisations which fight identity fraud and which can offer you practical help and support include CIFAS (the UK fraud prevention agency), APACS (the UK Payments Association) and the British Bankers Association. The Financial Service Association also offers guidance on tackling identity theft. Should I Check My Credit File? Yes, it is well worth checking your credit file. This is a record of your financial history which is used by lenders to assess your credit risk. Contact a credit reference agency and consult your file to check for any irregularities. If companies have been contacted for credit without your authorisation then take steps as soon as possible to alert them of your situation. This will help to ensure that you do not foot any bills which are run up and will also make sure that your credit record is not damaged. It is important to realise that anyone can become a victim of identity theft and so you shouldn’t feel stupid or blame yourself. It is highly recommended that you register with CIFAS. CIFAS is the fraud prevention agency for the UK. It can store your details so that any future credit applications in your name are checked extra thoroughly to ensure that it really is you. You will also find much more practical help and advice by browsing the About Identity Theft website. They do LizzH but this is not sufficient evidence for HMRC . My previous employer are being very slow releasing information. They contacted me today telling me they would contact HMRC but not telling me how the error occurred. I do not know if it is internal fraud or if my details are being used elsewhere. @Ama - surely your bank statements from this time would show the earnings didn't tally with the amount of money paid into your bank? I have used my National Insurance Number on the 16th of December 2015 take it home back and it gone missing. I was having a lot a problem with the landlord who keep on going in my room and search it at all time. I did not know that she was doing it and till one day I was in there lying down and she came in called me and I did not answer then she push the door andcame righ in. I was surprise for that is the last thing I would expect from a Christian but I was wrong. She is wolf in sheep clothing, she is not honest so I move away from her. she had a friend who is illegal in this country and was working in others peoples, name so that is where my NI is gone.